The Lion City, Garden City or Little Red Dot, are just a few of the many nicknames that people assigns Singapore. Other people are simply referring to it as Home. Be it temporary or permanently, living in Singapore is a reality for many people as their job or their partners led them here. Luckily, Singapore is a place that is thriving on immigration and has seen a lot of expats coming to change their lives in this city since the early 2000’s. And with English as one of their official languages, the accommodation process is suddenly easier for most. 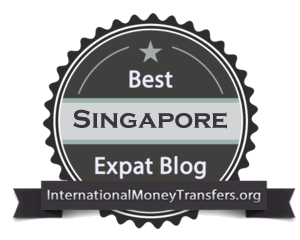 Changmoh is a popular expat blog owned by an English lady residing in Singapore. As she describes it on her home page, it’s all about what she thinks of the local food, style and lifestyle including everything in between. The term Changmoh is a combination of Chinese and Angmoh, which is the word locals use to describe people of Caucasian origin. The blogger’s favorite local food is durian & lobster, though there are also hawkers who sell tasty bo ham or char kway teow in Singapore that she likes. This blog was recognized among the ‘Top 10 Lifestyle Blog in Singapore’ for the 2013 OMY Blog Awards, following less than a year of blogging. 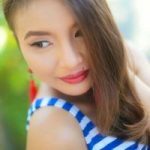 Little Miss Honey is a lifestyle blog owned by a Filipina currently residing in Singapore, the site largely inspires modern day women to explore their surrounding environment through travel, adventure, family, books and beauty. 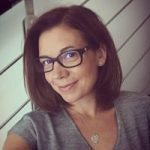 This blog showcases the many great discoveries of the author as she tries to make a living in the foreign country. Furthermore, Little Miss Honey aims to become the ultimate community for expatriates to share their experiences while living away from home. The owner usually posts unique sections on the blog where people from different countries can share their adventures with other readers. Plus the best story typically gets an ‘expat of the month’ spot. 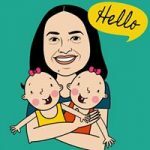 This interesting blog is owned by Megha from Singapore, she calls it her virtual home which reflects her lifestyle as a wannabe photographer, avid foodie, movie bluff and many more including a twin mom. Megha was originally born in Oldham, England though a few years later her family moved over to the Middle-East. An experience she describes as blissful. She works as a dentist in Singapore where she also has resident status, the author further states that she’s always been fascinated by local food and regularly samples them on her site. Moreover, due to the popularity of her site Megha offers PR/Advertising opportunities for those who may want to promote their brands using the blog. The blog is owned by an Australian lady living in Singapore with her husband, two daughters and their dog. The author mentions that her aim is to post random and interesting thoughts about the family’s exciting foreign adventures, and other stories too that seem important to her as per the time. Though Australian by heritage, she hopes to see as much as possible of Singapore before they finally return back to their native country. 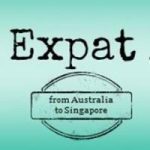 As a reader, if you’re interested in moving to Singapore, the author would be more than willing to share her experiences with you so as to make informed decisions and make the most of your visit. 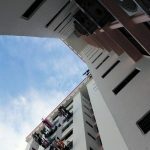 The blog depicts various wonderful discoveries of a young woman living as an expat in Singapore, with writing, photography and travel being her favorite activities in the country. The author also gives tips on different types of pastimes that you can engage in while in Singapore, for instance, there are bike rentals that you can hire to tour multiple destinations around the city within a single day. Not to mention the Yayoi Kusama Exhibition centre where you can learn more about the region’s rich history and culture. 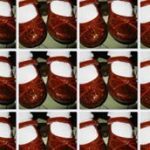 The author also has an Instagram account linked to her blog where you can check out the latest pictures she has taken. It’s a vibrant blog that focuses on the lifestyle of a young woman and her experiences in Singapore. According to Lily, her personal motto in life is that passion is energy and there’s power in focusing on what excites you most. The author describes her attitude as an ordinary lady who prefers to live life full as it is. On her blog, Lily writes everything from her own personal experiences in the country and chooses to mention only the things that she finds fascinating. The writer describes her neighborhood in Singapore as very exciting; full of colorful buildings, traditional food and of course the native Peranakan culture. 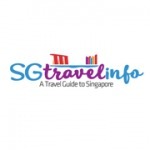 This is a comprehensive blog that provides a guide for travel, tourism & holiday destinations in Singapore. The blog mentions everything from the best places to eat, recruitment agencies where expats can get employment and best BBQ caterers in the area amongst other factors. The site particularly mentions Chinatown as a traveler’s delight, with its rich array of indigenously made wares, imported souvenirs and variety of shopping malls. In addition, Singapore Travel Blog recognizes the region for its wide variety of dining options and spa services. As for the best places to visit, the blog mentions Buddha Tooth Relic Temple & Museum as one of the great places to see. LYYNY KANSAS blog is owned by Lynn, who also goes by the other name of Lynny. She is a Brit by citizenship though has spent a good number of years in the US, specifically in the state of Kansas. However, currently Lynn is residing in Singapore and has been there for a while. For those visiting the region for the first time, the blog recommends checking out Singapore’s recently launched Greek eatery. Though having been opened for just a month now, it continues to gain popularity by the day due to the good food they offer. Additionally, you can receive regular updates from the blog by registering online using your email. 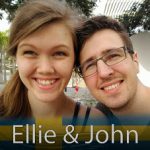 This interesting blog is owned by Ellie and John who are a cute couple, it lists a variety of topics for readers to consider such as Abroad, Holidays, Dailies, Food & Drinks, Family and so forth. In most of the posts, Ellie describes her personal experiences and fun events done together with friends. She mentions that one of her ways to avoid boredom during the weekend is bringing over some friends for an exclusive girl’s night. This usually happens when John is away on business trip. Another hobby she likes engaging in is cooking, especially homemade pancakes that are ideal for lunch. Pugsie & TotalyMoo is a cool blog for everybody. Braggies is a lively blog that focuses on travel, photography and of course some bragging as well. The site lists various cool activities to undertake in Singapore, include choice destinations to visit. Ever since it was launched, the blog has steadily grown in popularity and nowadays attracts visitors from all over the world. If you are coming to Singapore, Braggies recommends that you check out the Singapore Night Festival which is a colorful event full of light, laser and music projections. Furthermore, there’s a 7-minute showstopper consisting of a visual spectacle of fine architecture, multiple color lasers and sculptors imagery. You can also check out the Theemithi Hindu Festival of fire walking. We have made a badge that you can easily put on your blog for the world to see. *You just need to copy/paste the code bellow in a widget on your blog.